Growing up Zlatan idolized Brazilian star Ronaldo, he studied his idol and began copying his tricks and moves at every opportunity, Zlatan signed his first contract with his hometown team Malmö in 1996, and moved up to the senior side for the 1999 season of Allsvenskan, Sweden's top-flight league. That season, Malmö finished 13th in the league and were relegated to the second division, but returned to the top flight the following season. On 22 March 2001 it's was announced that Zlatan would sign for Ajax with Malmö agreeing to Ibrahimović's transfer to Amsterdam and in July, Ibrahimović officially joined Ajax for 80 million Swedish kronor (€8.7 million). Zlatan initially struggled at Ajax especially under Co Adriaanse but when he was sacked and replaced by Ronald Koeman things started to change for Zlatan at Ajax and slowly he began establishing himself as a top striker. 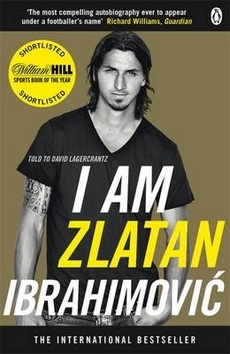 ﻿The book then goes on to chart Zlatan's career taking him from Ajax to Juventus to inter to the club he'd dreamed of joining Barca where his relationship with Guardiola was nonexistent to say the least leading to Zlatan joining Milan much to the annoyance of Inters Ultra's. 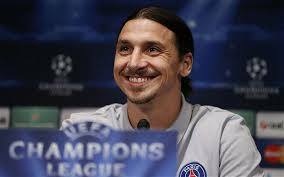 I Am Zlatan packs no punches and at times is really scathing, especially with comments like these ones about his time at Barcelona "I'd already got the impression that Barcelona was a little like school, or some sort of institution"
"To be honest, though, none of the lads acted like superstars, which was strange. Messi, Xavi, Iniesta, the whole gang – they were like schoolboys". "I was boring. Zlatan was no longer Zlatan"